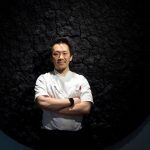 Taka Kondo: the culinary talent crafted by n°1 Chef in the world ! Other Italian chefs here. 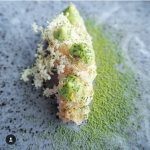 More Fifty Best chefs. Other Japanese chefs. 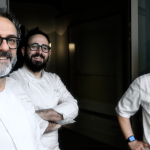 Bottura’s mind is like a butterfly net that swings to and fro in the hopes that a stray beauty will land in its mesh. Potential inspiration hovers everywhere. A dessert called “Oops! 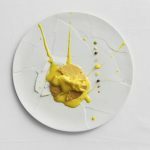 I Dropped the Lemon Tart” arose from a moment, years back, when Takahiko Kondo, one of Bottura’s closest kitchen allies, accidentally smashed a sweet on the pastry counter. 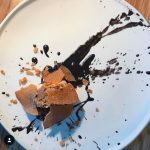 Bottura decided that it gave the dessert exactly what it had been needing.